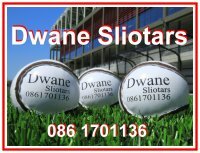 The playing and development of Gaelic games in and through the Schools has been a traditional and vital custom over many, many years. It is founded on the strong and vibrant relationship between the GAA Club and the School at local level, and is dependent on the good will and voluntary effort of School Teachers. The GAA enjoys unrivaled access to Primary Schools and for many children, their first, and perhaps only engagement with Gaelic games, is when their teacher puts a hurley or a ball in their hands and shows them how to play. Our philosophy for Gaelic games in the primary school is one of participation, to introduce children to the games and offer them an opportunity to play them. The hope is that if they are not members of a club, they will join one or that if they do not wish to continue playing when they leave school, that they can say that at one stage of their lives they played Gaelic games. In games where the stakes are low and the emphasis is on enjoyment, a culture of inclusiveness will endure and each child will be allowed to play. Remembering that children eventually become adults, we want to endeavour to give them an image of the GAA that is of an inclusive, child-centred association that they would in turn want their children to be part of. We also suggest that by introducing children to Gaelic games in primary schools they are also afforded with many opportunities for learning that will enhance their experience of curricular physical education and extra-curricular school sport. If we are mindful of the reason why we play Gaelic games at this level, we can ensure that children will leave school with a positive disposition towards the games and the GAA. Over 90% of schools avail of GAA coaching. This may be provided by the Teachers themselves or through the County Games Development Department. All lessons are designed to meet the aims of the primary school curriculum and teachers are encouraged to work together with coaches to maximise the impact for pupils. Post Primary Schools have traditionally been a key environment for the development of players through exposure to increased competition for places on School teams, and the participation of those teams in the many Colleges and Vocational Competitions at Junior and Senior Cycle level within Counties, Provinces and at National level. Commitment from dedicated teachers who give of their time freely to foster our native games in their respective schools has been the cornerstone of this promotion and development and in turn legions of players have responded by wearing their school jerseys with distinction ensuring competitions for us to savour and remember. Post Primary schools play a vital role in the development of young men and women who go on to play such a vital role in Irish life. The transition from childhood to adulthood is challenging, not only in playing terms but also on life’s journey, and the maintenance and further development of safe and positive environments for participation in Gaelic games is central to our role in our Post-Primary schools. The provision of participation opportunities in Gaelic games is a particular challenge in the Post-Primary School as pressure on academic standards increases and in light of the challenges which go hand in hand with the promotion of extra-curricular activities. As a follow-on from the successful Go Games Programme in Primary Schools, a flexible developmentally appropriate small-sided games programme called Super (Touch) games has been established for implementation in Post-Primary Schools. This Post Primary games programme is being replicated in Clubs, particularly within urban areas, and is aimed at providing games for 12 – 17 year old players not adequately served by regular school or club games through the traditional competitive structure. Click here to find out more about some of the GAA’s Youth Participation Initiatives. Click here to find out more about Gaelic games development initiatives for the Post-Primary School. 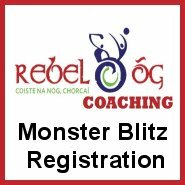 Rebel Óg Coaching added 177 new photos — at Pairc Ui Rinn Cork.